Education apps provide multi-fold benefits for parents and teachers as well. They can break the routine lecture modes and make the classes more creative and interactive. 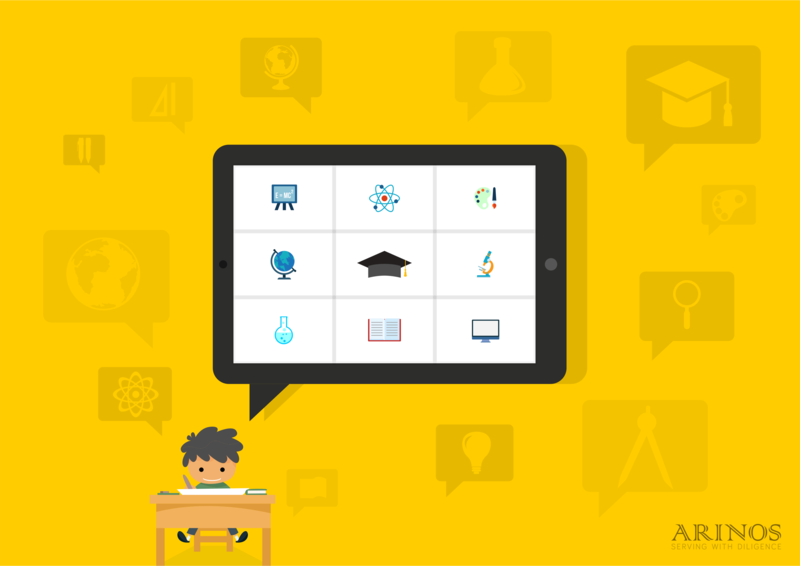 App based learning equips the parents to develop a good lesson plan. A systematic approach towards learning can be established as the flow of concepts in the apps remains sequential. Mobile apps in education promote active and enjoyable learning. It paves the way for interactive learning. The apps based on levels and grades instill more determination to succeed. It is available 24/7, unlike the time-bound learning in school. It can convert the leisure hours to learn something interesting. The apps promote better learning through entertainment. It supports sustainable and experiential learning, no more tedious study hours. The enhanced portability of these apps opens new possibilities to strengthen literacy. It contributes to advanced learning significantly. It motivates the child for receptive and optimized learning. Above all, it promotes self-learning. The creative team at Arinos has developed an Educational Exchange Application to allow the students, teachers, and parents to interact through a common platform and enable sharing of resources. There are several enlightening educational programs and courses to be explored through this user-friendly platform. The eBook reader app provides access to extensive reading suitable for both Apple and Android devices. They promote delightful reading experiences for all age groups. The apps designed by Arinos are aesthetically appealing, suitable for all operating systems and technically sound. They design functional, creative and intuitive applications that focus on streamlining the learning process. Opt for an inspiring learning through the customer-centric educational apps devised through latest technology at Arinos.